I was walking past my Peegee Hydrangia bush, which had grown to a very large size, and heard a distict buzzing noise. It was as though the entire bush was ready to ‘take off’. The humming was very loud. 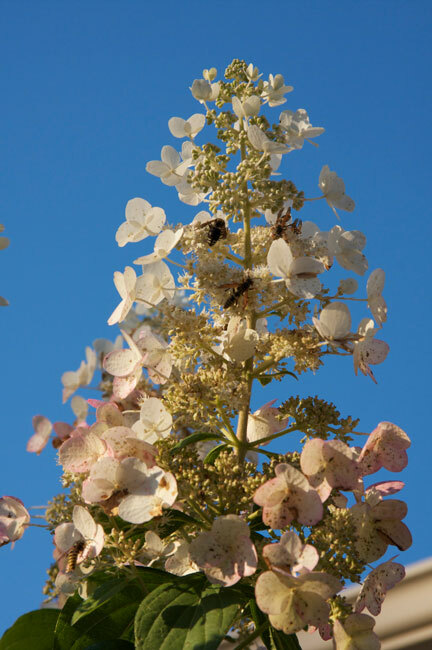 I looked at the flowers and noticed that upon each one were a variety of bees, hornets and wasps. I had never seen so many in one place. 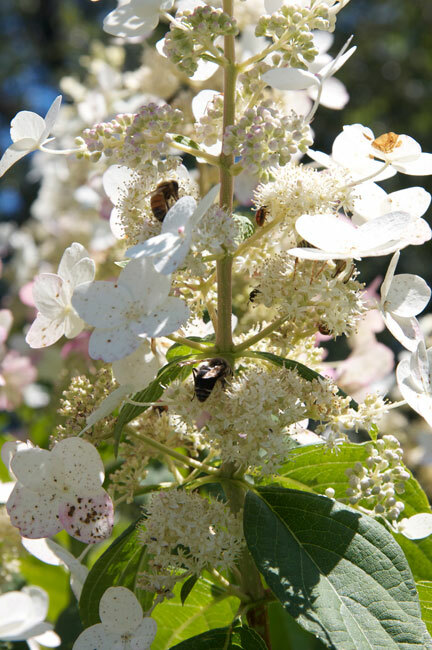 Every day I check back and there are hundreds of bees swarming the ‘bee tree’. We even saw the elusive honey bee. Oh, how happy that made me. The varieties were too numerous to count. I don’t use pesticides in the yard so we have a lot of very interesting bugs, amphibians and birds. I also noticed a huge amount of toads and frogs in the yard this year. I love seeing the variety of critters that can thrive when the environment is inviting. Ours is a very friendly house for all the critters.